Though their size and look has changed over the years, hoop earrings have always been a fashion staple. Wearing earrings in pierced ears was one of the earliest forms of body modification, and hoops were one of the first earring styles ever worn. Learn of their enduring popularity as we work our way through the history of hoop earrings. Alexandrite hoop earrings in sterling silver. Earrings were wildly popular in the ancient world. Their use can be traced back to the Sumerian culture of Mesopotamia in 2500 B.C. Crescent shaped and made of gold, they were worn by Sumerian women and represent the earliest physical evidence of hoop earrings. Within a thousand years, hoop earrings spread throughout cultures situated around the Mediterranean Sea, such as Greece, Rome, and Egypt. Since ancient times, hoop earrings have been crafted from many different materials, and are still a popular fashion jewelry staple in today’s world. Hoops have been worn by both men and women throughout history. Earrings for women have consistently remained in fashion over the years, but all types of jewelry for men have had ups and downs. Men’s earrings remained fairly popular until the Industrial Revolution when changing style trends quickly squashed their popularity. Particularly in America, men wearing hoops, or any earrings for that matter, were associated with countercultures. It wasn’t until the 1980’s and 90’s that men truly reclaimed this fashion accessory as their own. As men became bolder in their earring selections with influence from celebrities like George Michael and Mr. T, the stigma around men wearing jewelry began to subside. Nowadays, it’s common to see men wearing hoop earrings and other jewelry styles. The quintessential hoop takes the shape of a circular piece of wire, with a thin piece that inserts into the ear, held in place by a tension clip. Beyond this classic design, there are several varieties available for any preference. • Circular hoop earrings – the traditional hoop that creates a complete circle when worn. • J-hoop earrings – these hoops are a partial circle shape, forming a stylized “J” shape as implied by their name. 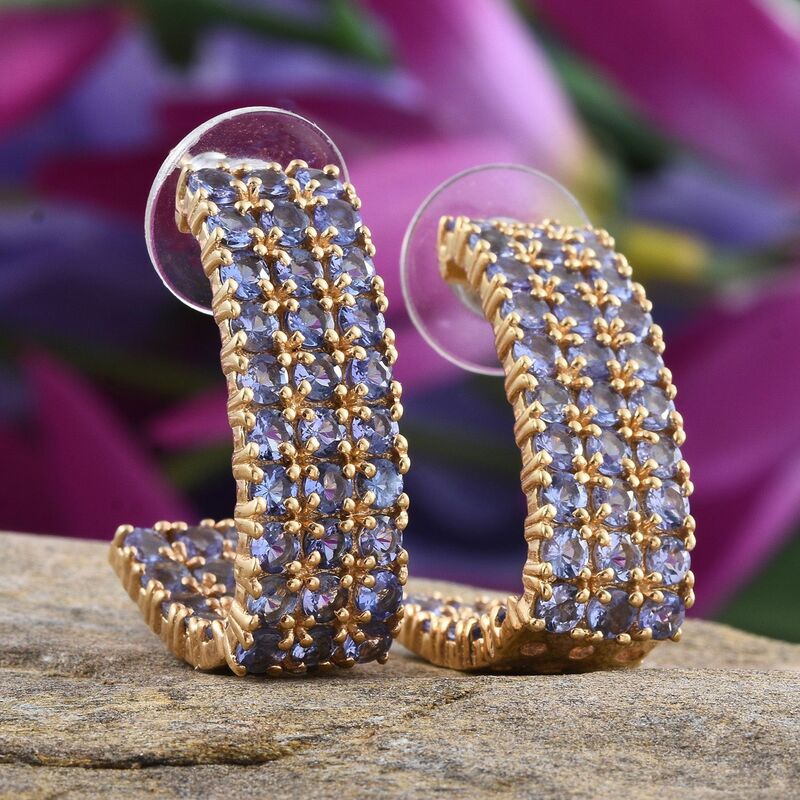 • Inside-out hoop earrings – these typically appear as traditional hoops, but gemstones are placed along the outside and inside, giving the look of continuous gems. • Huggie hoop earrings – smaller, hinged versions that are worn close to the ear. These represent only a portion of the many hoop earring styles available. Besides the classic circle shape, hoops can be found as squares, triangles and more. 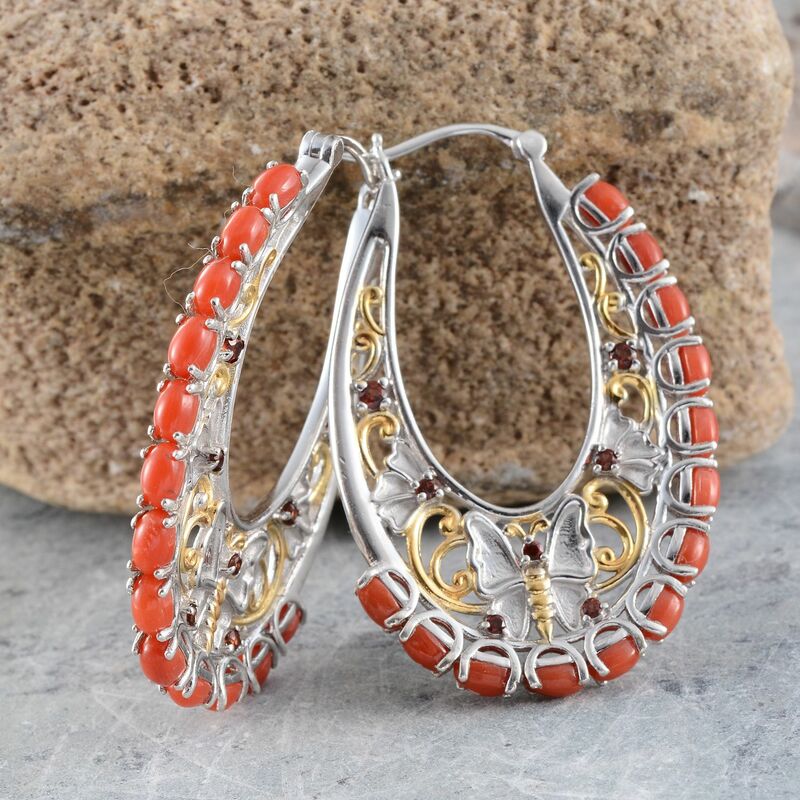 Coral hoop earrings in sterling silver. Why did pirates wear hoop earrings? There are several unsavory myths associated with hoops and piracy. Sailors and pirates are often depicted wearing hoop earrings, both in historical accounts and pop culture. There are accounts of sailors donning a hoop as a symbolic piece of jewelry after crossing the equator or rounding Cape Horn. Some wore earrings for more practical reasons. Hoop earrings made of silver or gold were often worth enough to pay for a pirate’s funeral or the cost of transporting his body home if he met his end at sea. Many would engrave their home port on their hoops to designate where to send their body in the event of injury or death. Perhaps the most beneficial application of hoop earrings in the pirate world was using them to dangle wax from. Why wax? It was used by sailors and pirates as earplugs when firing the ship’s cannons to help prevent hearing loss. Other amusing tales suggested that having a pierced ear activated a pressure point that improved eyesight. Related myths told that an earring would prevent seasickness, and some even thought a hoop earring would prevent drowning! Of course these stories have long been proven false, but they will always be connected to the romance of the high seas. Whether or not a pirate’s life is for you, we recommend hunting for your own treasured pair of fashion hoop earrings available from Shop LC.